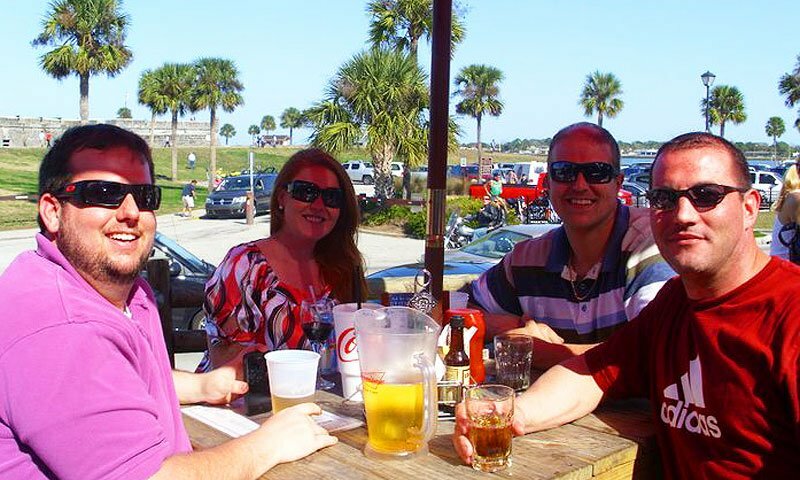 For weekly drink deals, tasty food and good music come by the Bar with No Name in historic downtown St. Augustine. They are located across from the Castillo de San Marcos and offer an amazing view of it and the bayfront. Visitors and locals alike frequent the "bar with no name" for the great views, as well as live music six nights a week (Tuesday-Sunday). There is outdoor seating and the bar is inside the building. The Bar with No Name also has a liquor store attached to it.